Many business owners want to combine the tax advantages and flexibility of Self-Directed IRA investing with the higher contribution limits available in employer-sponsored plans. The Self-Directed SIMPLE IRA is a common and popular variant of the IRA designed for small businesses with 100 or fewer employees who do not want to go through the trouble of setting up and administering a full-fledged ERISA-qualified 401(K) plan. Self-Directed SIMPLE IRAs allow contributions from both employees and employers. Employees can contribute up to $13,000 for 2019, or up to 100 percent of compensation. Those ages 50 and older can contribute an additional $3,000 per year. 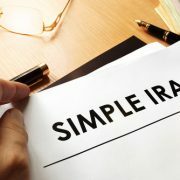 Self-Directed SIMPLE IRAs do involve some commitment on the part of plan sponsors: The company must make contributions each year, which can be either a match of up to 3 percent of compensation or a non-elective contribution of at least 2 percent of each employees’ compensation. Compared to a qualified plan like a 401(K), SIMPLE IRAs and Self-Directed SIMPLE IRA plans allow employees more flexibility in when they can take distributions. While 401(K) plans only allow for distributions upon reaching age 59½, death, disability and termination of service to the company, SIMPLE IRAs are eligible for distributions at any time. However, distributions are taxable and subject to a penalty of at least 10 percent prior to age 59½. Distributions within the first two years of participation are subject to a draconian penalty of 25 percent, so participants should be very confident they will not need to access that money for at least two years. However, unlike 401(K)s, SIMPLE IRAs, including Self-Directed SIMPLE IRAs, are eligible for ‘hardship’ exemptions to the 10 percent penalty. Plan sponsors must comply with deposit rules. Salary deferral (employee) contributions must be made within 30 days of the end of the month in which the salary would have been paid out had it been paid in cash. However, self-employed individuals have more flexibility in the timing of the contributions: They have until 30 days after the end of the plan year – normally until January 30th for those businesses using a calendar year. 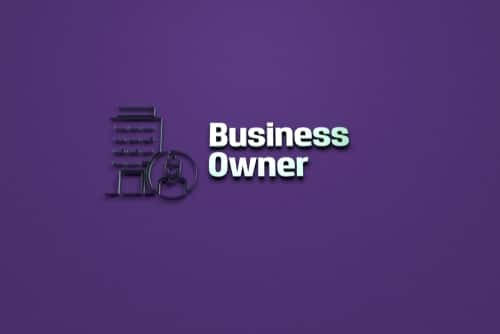 Employer contributions must be made by the due date for the business’s tax return including extensions. With a Self-Directed SIMPLE IRA account, participants are not limited to mutual funds, stocks, bonds, and other paper investment. They can hold all manner of alternative investments, and hold assets like rental property, gold and precious metals, closely-held C-corporations and limited partnerships, farms and ranches, tax liens and certificates and others. However, you need a custodian or third-party administrator that is set up to hold these types of assets and record these transactions. That’s where American IRA, LLC comes in. As an administrator that focuses on self-directed investing, American IRA can work with you no matter what types of assets you select. As long as the assets are legal to hold within an IRA, American IRA can support the transaction. Interested in learning more about the advantages of Self-Directed SIMPLE IRAs, Self-Directed SEP IRAs and 401(K)s for small business owners and self-employed individuals? Download our free guides or visit us online at www.AmericanIRA.com.